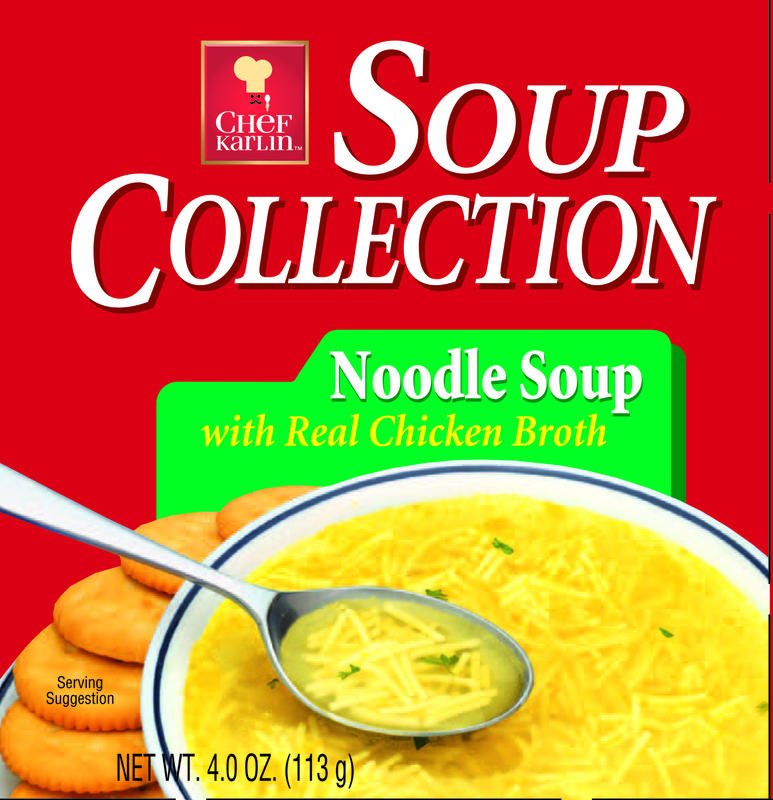 A staple item since Karlin Food’s inception, our soup mixes are created with value for shoppers in mind. We would love to hear from you! Please contact us if you have any questions. Ingredients: Enriched Egg Noodles (Wheat Flour, Eggs, Niacin, Iron, Thiamine Mononitrate, Riboflavin, Folic Acid), Salt, Maltodextrin (from corn), Hydrolyzed Corn Protein, Partially Hydrogenated Soybean and Cottonseed Oil, Chicken Fat, Torula Yeast, Onion Powder, Chicken*, Dextrose, Natural Flavors, Corn Starch, Parsley*, Disodium Inosinate, Disodium Guanylate, Oleoresin Turmeric, Turmeric (color).